Pristina – Upon request of the representatives of the Albanian Public Employment Service (PES), the Regional Cooperation Council's (RCC) Employment and Social Affairs Platform (ESAP) project, within its technical assistance facility, took the Albanian PES on a study visit to their PES colleagues in Pristina. The study visit, led by the Nand Shani, ESAP Team Leader, started by the opening remarks of the Drin Haraqia, General Director of Kosovo* Employment Agency and Elira Çaushi, General Director of Albanian Employment Service, followed by presentation of the structure and functions of the host Employment Agency, its Information Management System and active labour market measures. It also included the field visit to Mitrovica local employment office and getting acquainted with their work as well as with the local vocational training centre. The PES participants of the visit discussed the benchlearning process, and agreed on future cooperation in the following areas: exchange on developing a solid performance management system, in which the elaborate information management system in Kosovo* can serve as a good example; the enhanced functionalization of vocational training centers in Albania, based on the Kosovo* case, where such centers are accredited, provide certifications to trainees and conduct training jointly with enterprises; and the development of a strategic document on communication in the Albanian PES based on the experience in Kosovo*. Both PES offices agreed on the importance of sharing their good practices in designing and monitoring the implementation of active labour market measures, as a way to improve their targeting and impact on employment creation. 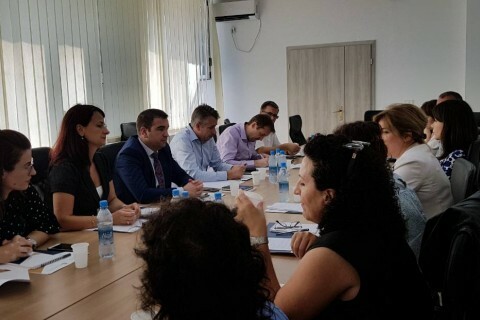 The purpose of the visit was to provide an in-depth exchange of practices and experiences between the two PESs on key areas of their work in which, aimed at providing an additional learning opportunity to the counterparts and to present some of the areas in which the Albanian PES has achieved important results. 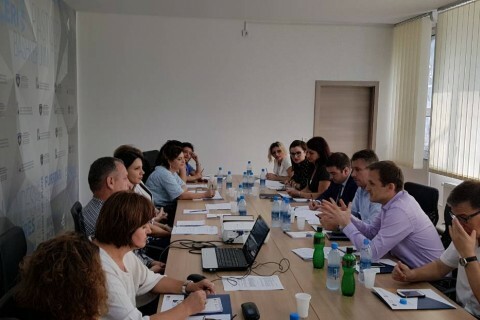 ESAP facilitated this visit as the results of the benchlearning process, in which the 6 Western Balkan PES have performed a self-reflection on key strengths and weaknesses of their PES, followed by the assessment visits conducted by external assessment teams. The benchlearnig exercise aims to help Western Balkan PESs in assessing and improving their performance, in line with the best EU practice in this field.